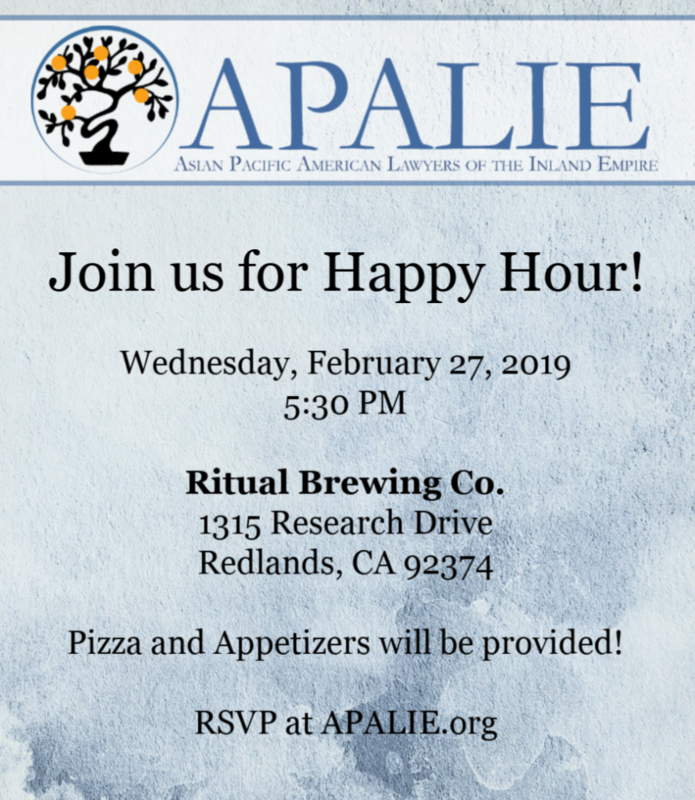 Come join APALIE for Happy Hour on Wednesday, February 27, 2019. Pizza and Appetizers will be provided. Please RSVP below for a head count.